As an Application Support Engineer, you will invariably end up managing Java based applications. JVM (Java Virtual Machine) is the all-important process that runs the Java Application you are going to manage (which can be either custom developed by your development group, or a commercial off the shelf product). It is imperative that you have a very good understanding of how JVM works. Note: Some of the material in this section will be very basic that experienced Administrators can choose to skip. Java is a high level programming language (this is the code). A java program is a text file(s) that is/are human readable. Javac is a compiler program that compiles the human readable java code in to machine readable byte code. 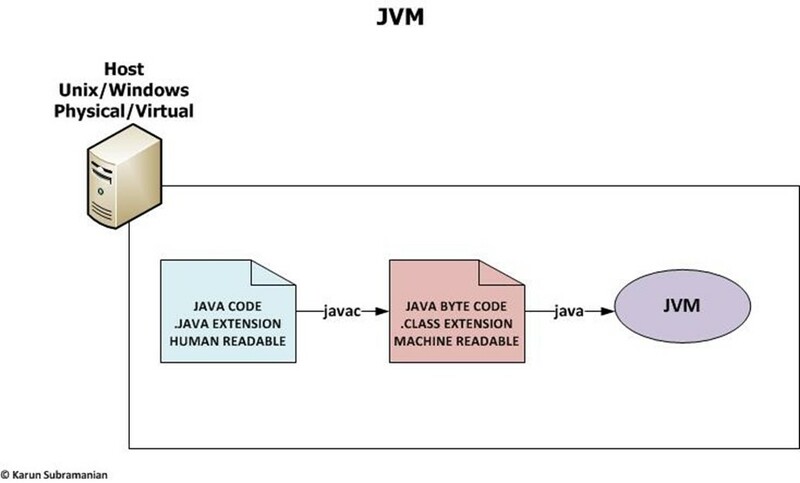 JVM (Java virtual machine) is a process that runs the java byte code. It is an implementation of specification created by Sun/Oracle. Agent is a vital part of Appdynamics framework. It is the agent that acts like a workhorse to pull metrics from the Application and push it to the Controller. Agent is a piece of software that is installed ON your application. The only function of the agent is to pull the monitoring metrics and send them to the AppDynamics Controller where the data is crunched and made available via the Controller UI. Note that there is NO need of a code change in your application. There is however a setup/configuration change required depending on the platform. In this article, I will explain how to instrument a Java Application. Jboss Community Edition – how to change the Admin Console Password ? How do you change the default Admin password on Jboss Community Edition ? You do NOT have to restart Jboss for this change to take effect.